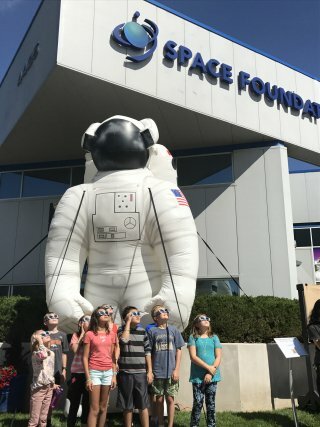 About 900 students at Longmont’s Timberline PK-8 sat in the fields around the school on Monday and studied a sliver of the sun through protective glasses, emitting a chorus of “wow” and “cool.” Most St. Vrain Valley and Boulder Valley students went outside Monday to join the millions across the country experiencing the eclipse. The spacesuit designed to be worn aboard SpaceX’s Dragon capsule turns up the coolness dial for spaceflight, as befits a company that’s a corporate cousin of the Tesla electric-car venture. “This is as close to flying an actual space mission as you can probably get without being an astronaut,” says Ron Franco, an American Airlines pilot and a retired U.S. Air Force colonel. In 2016, he volunteered for NASA’s Human Exploration Research Analog as part of a four-person, 30-day, simulated mission to the asteroid Geographos. HERA, which operates in a hangar at the Johnson Space Center in Houston, goes to great lengths to make the mission as realistic as possible; the project’s goal is to research what humans will need to handle long-duration space exploration. NASA’s most advanced launch vehicle is undergoing a variety of testing before the Space Launch System (SLS) rocket will be used to launch astronauts in the agency’s Orion spacecraft on missions to explore deep space. In one particular series of tests, this advanced piece of machinery is getting a fresh coat of paint. University educators: Are you looking for ways to incorporate the latest satellite data into your coursework and student research? You are invited to attend the GOES-R Series Faculty Virtual Course, a series of seven interactive webinars that provide an introduction to the new capabilities offered by the latest-generation GOES-R series weather satellite. On Aug. 22, 2017, officials at NASA’s Ames Research Center in Silicon Valley broke ground for a new Biosciences Collaborative Facility. The Biosciences Collaborative Facility will be a two-story, 40,000-square-foot building housing wet chemistry laboratories designed with the latest technology to serve NASA’s programs in fundamental space biology, astrobiology and bioengineering. Tremendous amounts of soot, lofted into the air from global wildfires following a massive asteroid strike 66 million years ago, would have plunged Earth into darkness for nearly two years, according to a news release from the National Center for Atmospheric Research (NCAR). This event would have shut down photosynthesis, drastically cooled the planet and contributed to the mass extinction that marked the end of the age of dinosaurs. Forty years ago, NASA launched twin robotic explorers on a mission to travel farther out than any spacecraft had gone before, and today, they continue to be our most distant emissaries. The story of those probes, and of the people behind them, is the focus of the aptly-titled documentary, “The Farthest,” airing Wednesday (Aug. 23) on PBS. The 3D Collaboration & Interoperability Congress focuses on CAD collaboration and interoperability for the entire product lifecycle. More than ever before, information needs to be digital and fully associated as Model-Based Definition (MBD), Model-Based Enterprise (MBE), Smart Manufacturing, and Internet of Things (IoT) continue to evolve. For discrete manufacturing, this means CAD interoperability and collaboration to enable the digital thread. 3D CIC returns to Golden, Colorado for the 2017 event, with the theme: UNITE: Engineering & Shop Floor Collaboration. The commercial optical fiber market is a large one compared to the free-space optical market, but the folks at LGS Innovations, a former subsidiary of Alcatel-Lucent, see that changing. 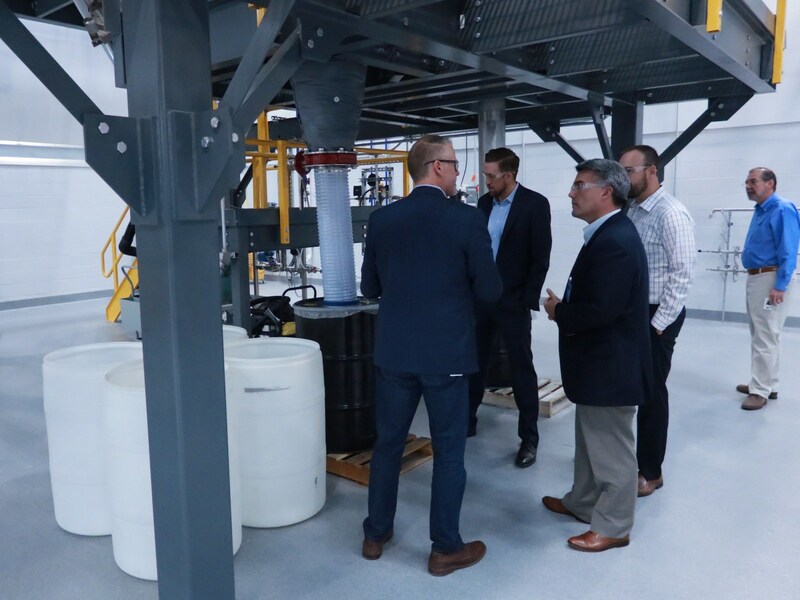 The company has been working in the optical communications and technologies space for more than 20 years, mostly related to government work. Now, the commercial sector is coming around. Mark Nielsen of TechAzul will present at the 2017 Quality Information Framework (QIF) Symposium. The 3D Collaboration & Interoperability Congress (3D CIC) and the QIF Symposium will be held in Golden, Colorado on October 3-5, 2017. A NASA rocket mission to study disturbances in the upper atmosphere that interfere with communication and technology systems will form night-time white artificial clouds visible by residents of the Republic of the Marshall Islands during two rocket flights to occur between August 29 and September 9. The Waves and Instabilities from a Neutral Dynamo, or WINDY, mission will study a phenomenon that occurs in the ionosphere – a layer of charged particles in the upper atmosphere. NASA’s Space Technology Mission Directorate released a Request for Information (RFI) to potential partners for a technology demonstration of advanced solar electric propulsion (SEP) technology on Aug. 8, with responses due by Sept. 8, 2017. NASA has been developing advanced SEP technologies in the form of large, lightweight solar arrays, and an electric propulsion system that includes a 13-kilowatt Hall Effect thruster with magnetic shielding, a power processing unit and a xenon flow controller. Render of the MinXSS UHF Communications System using SolidWorks. The Society of Women Engineers (SWE) announced today the recipients of its annual awards program. The program recognizes innovators and leaders who are supporting the enrichment and advancement of women in the engineering community from industry to education. SWE award recipients include professionals and collegiates from influential businesses, corporations and universities across the globe. For the second consecutive year, Ball Aerospace was recognized by Lockheed Martin Aeronautics as a Top Performing Supplier. This award identifies the top two percent of a supply base of 1,200 Lockheed Martin suppliers. NASA just got one step closer to its most ambitious spacecraft ever: One that can carry humans to the moon, Mars and perhaps beyond. It’s called Orion. And Lockheed Martin (LMT), NASA’s contractor for the project, said the latest version of the vessel was powered on for the first time Tuesday morning, lighting up the intricate on-board computers that will one day help guide Orion through the vacuum of space. For the first time, astronomers have succeeded in obtaining a map of the turbulent motions in the atmosphere of a star other than the Sun, thanks to an innovative technique that combines three telescopes at the European Southern Observatory (ESO) on Cerro Paranal located in northern Chile.